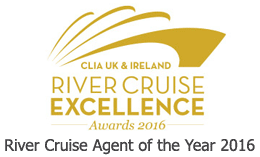 Welcome to the UK's leading river, small ship and luxury cruise website. Our friendly and knowledgeable cruise experts offer independent advice to help you book your perfect holiday, all at superb prices with unique exclusive offers. Browse through hundreds of exciting itineraries from over 50 cruise lines and call us to discuss your holiday plans on 01756 706500 (+44 1756 706500 from outside the UK). Save up to 20% plus exclusive £50pp discount on our 2020 authentic tall ship voyages, PLUS last few cabins remaining for 2019. Our exclusive brochure features a superb selection of cruises exploring destinations further afield, including Antarctica and the Maldives. Early booking discount PLUS hotel stay! New small ship cruise for 2019! Join recently refurbished small ship Yasawa Princess on our unique all-inclusive island-hopping cruises around the idyllic Maldives. Sensational savings of up to £975pp on our unique Brahmaputra river cruises with hotel stays in Kolkata, Golden Triangle or Bhutan. Go in search of the Northern Lights on our authentic voyage along the Norwegian coast with exclusive savings and Northern Lights Promise. Enjoy superb savings of up to £590pp on European river cruises, including the Danube, Rhone and Seine. Take advantage of savings of up to 25% on luxury European and Mekong river cruises or free flights on 2020 sailings. Save up to 40% on cruise cost! Save up to 40% on cruise cost on our boutique yacht cruises to destinations including the Seychelles, Greece and Caribbean. River Cruising with the Stars Brochure! This exciting brochure features river cruises accompanied by famous faces including master baker Mary Berry and dancing sensation Anton du Beke. Special flight-inclusive package prices - save up to £890pp! 7-night cruise from just £1075pp or 14-night cruise from just £1895pp! Exclusive Blue Water Package with 3-night New York hotel stay and free New York Pass!